A few days ago, I promised a review of Gilead. I realize now that this is not a review. 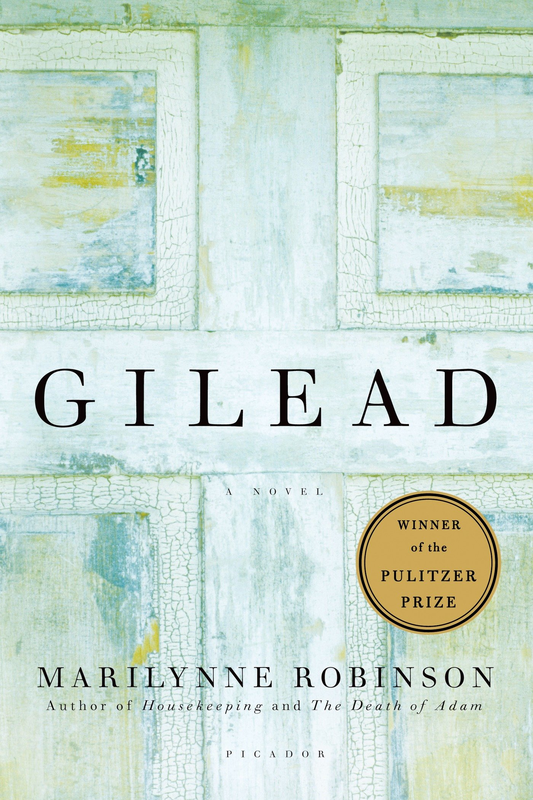 Let me get this out of the way — Gilead is a fabulous book. In so many ways, it’s a fabulous book. Marilynne Robinson is, in my opinion, one of the greatest living American novelists. The main character and narrator of the story is John Ames, a semi-retired, aging pastor in Gilead, a small town in Iowa. The story takes the form of a series of letters or journal entries that an aging father writes to his young son as a kind of recorded guidance for the son when the father is gone. The father has married a much younger woman late in life. John Ames believes that he will not live much longer and desperately hopes to provide materially for his wife and young son, and also to provide guidance for his son’s journey from childhood into adulthood. In the course of these letters, he reflects far and wide — on the life of a pastor, on life in a small town, on the fragility of life, often coming back to his desperate wish that he could provide better for his wife and child and his concern about how they will get along after he dies. Much of the early part of the story recounts his own roots; both his father and his grandfather were a preacher. His grandfather had been a violent activist in cahoots with John Brown, and who embraced the use of guns and violence in the Lord’s name. By contrast, his father was an ardent pacifist who condemned his own father’s involvement in the Civil War violence in Missouri and Kansas. Late in the novel, the son of Ames’s best friend — a fellow minister in town — for whom he has become namesake returns home. He is a troubled young man who has nearly always been in trouble. The depth of his brokenness is revealed gradually and comes to a climax at a point where there will be judgment or grace. The story resonates so deeply with me in part because of my own family history. My grandfather was a pastor, first in the wilds of northern Saskatchewan and then in the plains of Kansas. He had four sons, all of whom, as I understand felt some pressure to go into church work. The youngest son did for a time, and then left the pastoral ministry for a long and productive life work as a therapist. My own father went to junior college, then the army, then a brief stint delivering mail, and eventually returning to college to complete a degree to become a teacher in Lutheran schools. I have no strong evidence, but Dad always talked about the glory days when he was delivering mail. I don’t think he was ever very happy as a teacher, and he certainly had a roller coaster experience as a church worker. I went away to college. To become a musician. An environmental engineer. Anything but churchwork. And in an explicable sense of calling (or was it guilt? ), I completely changed direction and decided to pursue training to become a pastor. I’m at that age when the years are catching up. I’ve now been a pastor longer than I was not a pastor. In a sense, I went into the family business. And now I also have a son who went into the family business. I felt some mild pressure toward a church vocation, but I don’t think that was what led me. I don’t think our son felt that pressure; if anything, we tried to talk him out of it, knowing that it’s a vocation with a high reward, but also can exact a high human cost. Reading this story always pushes me not only to reflect on my own family history and how it has shaped me, but more to the point, how I can continue to be a good father to my own sons. My relationship with them is not over now that they have left home, and I still have both the opportunity and calling to continue to shape them for good or not. Gilead is a lot of things. It is simply a good story, beautifully written and artfully told. It is a story about friendship; it is a story about the simple joy of love and family and about how that love is complicated and incomplete; it is a story about judgment and grace and how difficult the grace part can be. And it is a story about generations and the way we want to or don’t want to be like our parents and how we inevitably are shaped by them regardless of our intentions. This entry was posted in book reviews and tagged family, generations, Gilead, Marilynne Robinson, review on January 15, 2015 by Jim Honig. I like reading your blogs — an interesting window into your way of thinking!